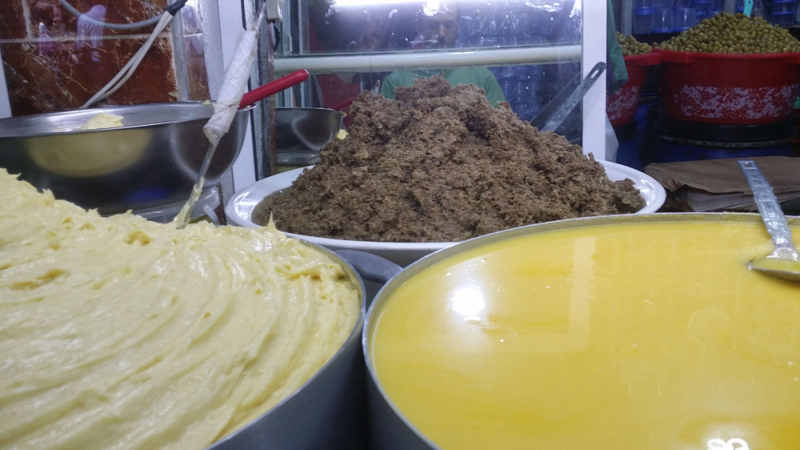 The Smen also called rancid butter, or clarified butter, is a preserved aged butter used in Maghrebian and especially Moroccan cuisine. It is described as the most popular kitchen butter in Morocco and the Middle East. It is known as "Smen" or "Samn", it is also widely used in India under the name "ghee", and also very popular in high-end French cuisine. 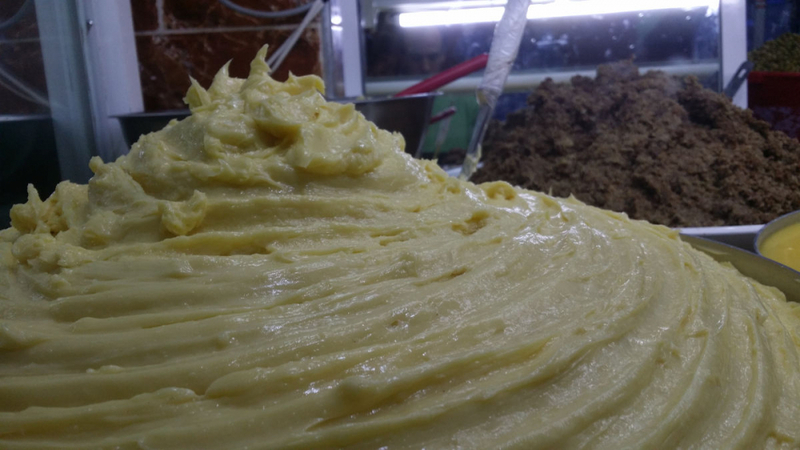 Rancid butter is used as a spreading butter which is perfectly accompanied by honey for puff pastry ( #Puff patties# ), it is also used as cooking butter in most traditional preparations (#rtrt# , #Moroccan Soup# , tajines) and as pastry butter. The Smen is highly appreciated for its dietary, gustatory and even therapeutic qualities. Its benefits are many, thanks to its absence of casein, it is much more digestible than a normal butter. 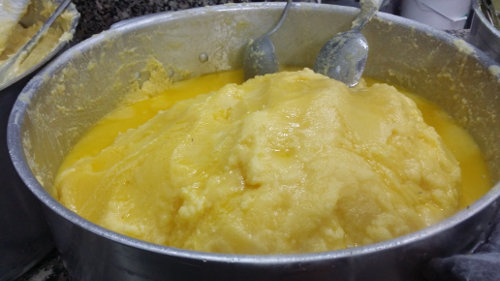 The principle of clarified butter or Smen is very simple, it is about removing all its impurities, lactose, water and casein (butter protein) from the butter. To clarify it, you should boil it: the scum that forms above (the casein) is creamed and the whey is filtered which will deposit at the bottom. The Smen is especially characterized by its very strong smell, easily recognizable, particularly salty and sometimes perfumed with oregano or thyme. It keeps at normal temperature in well-closed pots without the need for refrigeration and for several years if placed in a tight container and protected from light. Essential condiment in every kitchen of Morocco. The taste of lemon is completely transformed through a process of salting and preservation. « Ras Al Hanoute » means the head of the grocery store. It is a famous Moroccan spice mixture over the world.